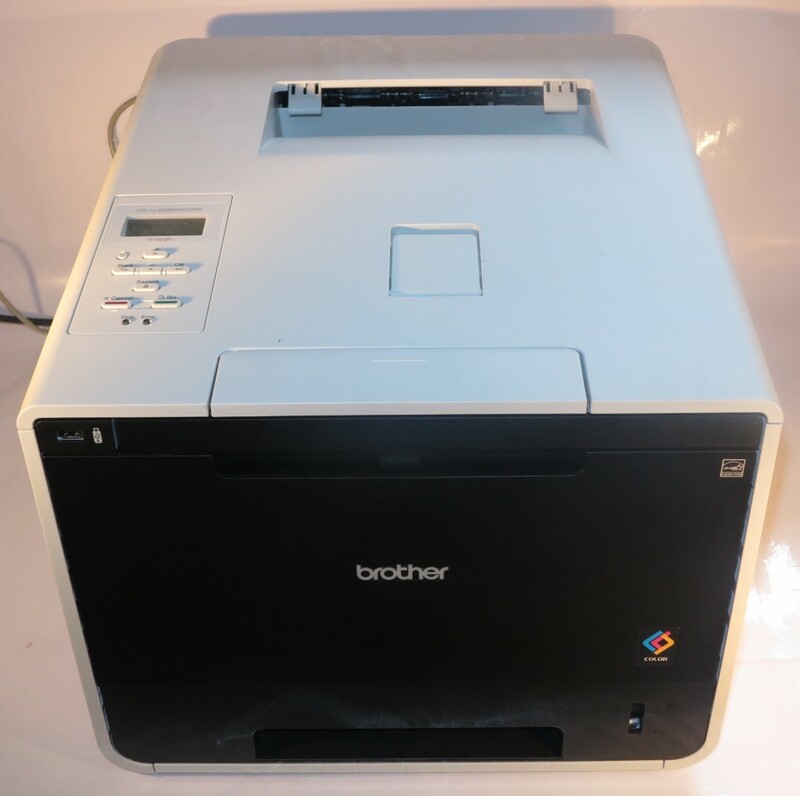 I am reviewing the Brother HL-L8350CDW colour laser printer which is similar in capability to the HL-4150CDN and HL-4570CDW colour laser printers. This is the kind of printer one would consider as being useful for high-throughput printing of presentations and marketing collateral for a small business i.e. the organisational “short-run” printing press. The classic example of this would be a real-estate agent or auctioneer who has to turn out flyers that describe the property or goods that are for sale to hand to prospective purchasers when the property or auction lot is available for inspection. Or a church or funeral home could use these printers to bring colour in to those “order-of-service” cards or other similar short-run printing jobs. There is a cheaper variant of this printer, known as the Brother HL-L8250CDN. This has a slower output speed and only has Ethernet as its network connection but is fast enough for most colour printing applications. The Brother HL-L8350CDW printer is apparently easy to set up or prepare for transport compared to previous-generation Brother colour laser printers. Here, there isn’t a need to remove catches and other pieces to prepare the HL-J8350CDW for use. There isn’t also a need to prepare the printer’s print engine for transport such as installing special fittings if the machine needs to be transported. 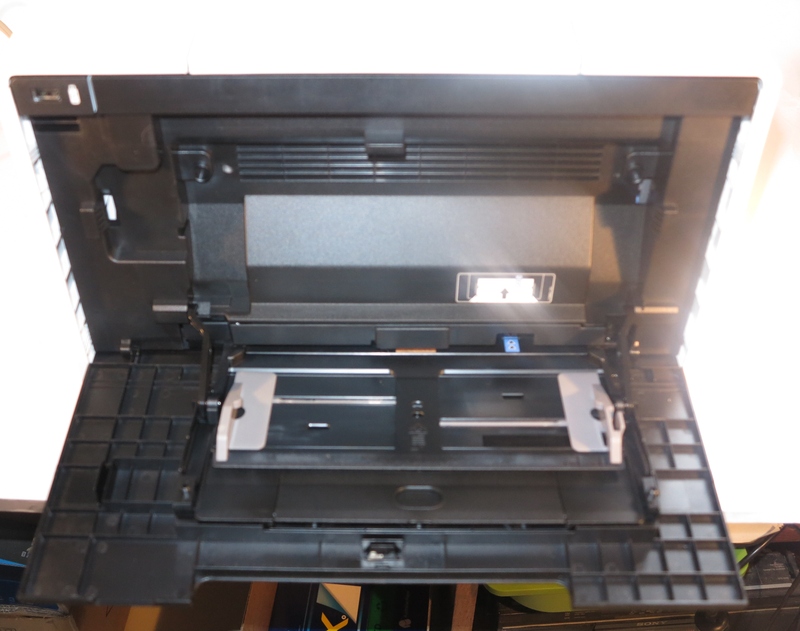 Like the Brother HL-4150CDN, the HL-L8350CDW has the drum unit working effectively as a “drawer” when you have to change toners, which would make this process a lot more easier. 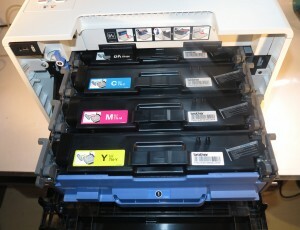 As well, like all of the Brother printers or multi-function units that implement laser or LED xerographic technology, these use a print engine with running parts like the imaging drum and/or transfer belt that the user can separately replace, along with the option to purchase toner cartridges that have a higher yield. These features allow for the printers to be effectively cheap to keep going. It is capable of being setup for an Ethernet of Wi-Fi wireless network or even supporting Wi-Fi Direct so you can print directly from your mobile device without the need for the printer to be connected to a network. 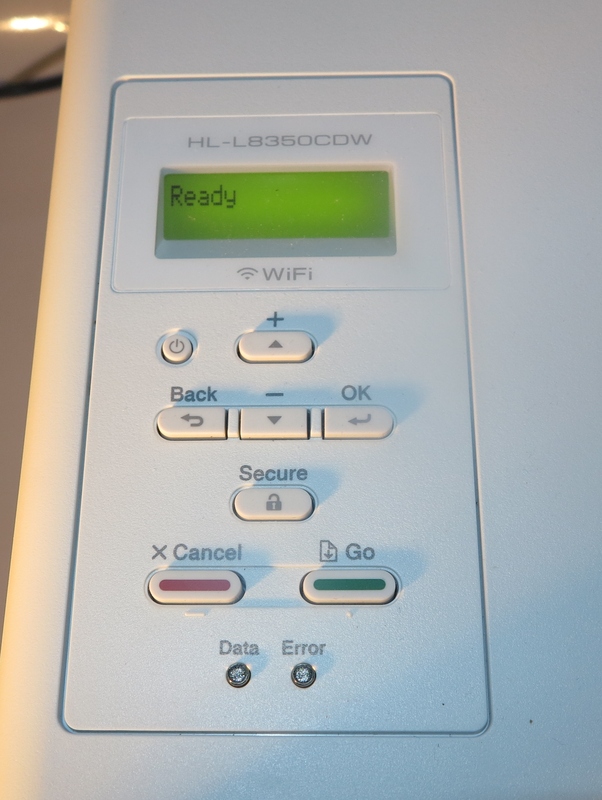 But the Wi-FI Direct function cannot be operated at the same time as the printer being connected to your network. There is the ability to set these printers up for advanced print jobs such as working with envelopes or thicker media. This is through a drop-down “manual-bypass” tray that accommodates up to 50 sheets of the media along with the back of the printer being able to be dropped down for “straight-path” printing of envelopes. This ability places the Brother HL-L8350CDW and its peers along with the higher-capacity monochrome laser printers at an advantage compared with cheaper Brother printers for working wiht special media. 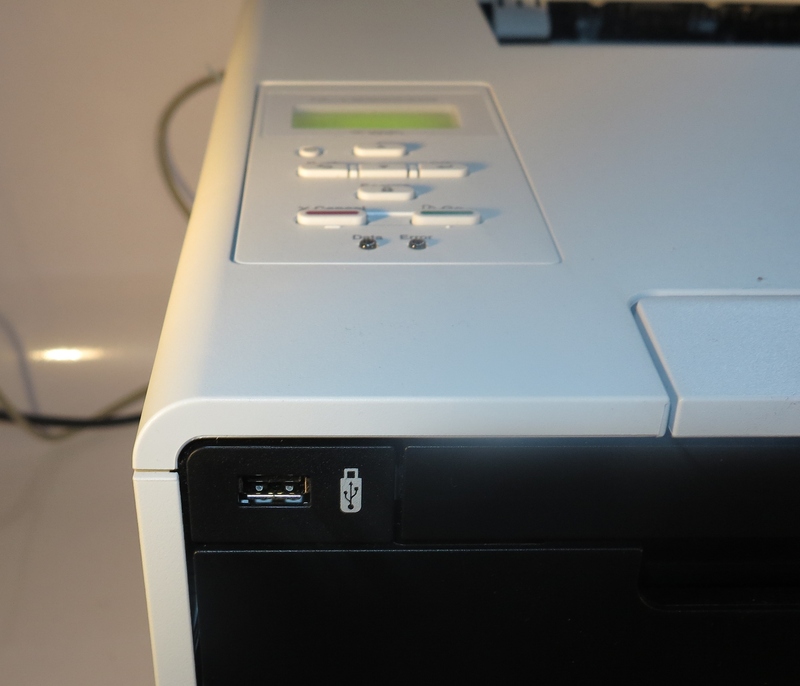 You can print PDF or similar files from a USB memory stick by plugging it in to a USB port on the front of the unit. One disadvantage here is that it is slower to turn out a 2-sided PDF print job which may come as a limitation when you want to turn out that flyer where the artwork is on a memory stick. It is also worth knowing that the USB port can serve as a “walk-up” charging port for your smartphone or similar devices. The manual doesn’t seem to support this but I haven’t had error messages thrown up as a result of my charging of gadgets this way. 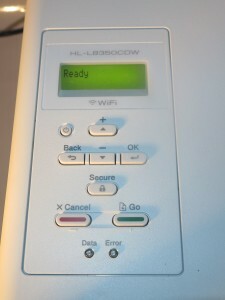 This function even operates when the printer is in the “Sleep” mode or in active use. It doesn’t work this way in the “Deep Sleep” mode. An issue with a lot of Brother printers is that they make one driver package for each model even though most or all models of a series have common abilities and features. This can cause problems with installation especially over the network. Other than that, the software installation worked smoothly. For printing, it took only a few seconds for the printer to “wake up” and turn out the first page of a job once you submitted it. This was from its “sleep” state. As for heat build-up, there wasn’t much of that during a small print run but it starts to occur through larger print runs say, for example, after 20 double-side pages are turned out. As well, the noise level is similar to what is expected for most laser printers and photocopiers. The on-machine user interface is similar to the HL4150CDN’s user interface, which has the small LCD display and four-way arrow keys. This doesn’t have the ability to show up how much toner is currently available or provide an easy-to-implement “confidential-print” or “walk-up” printing function. The text and graphics documents came out of the Brother HL-L8350CDW very sharply and clearly. This was exemplified with a personal “desktop-publishing” job that I had run as well as other print jobs that I had done with this machine. The automatic duplex functionality came across as being very quick for jobs that were sent from the host computer. It was something that was very similar to what had happened with the Brother HL-4150CDN where it apparently worked both sides of two pages at the same time. This didn’t cause problems with registration shift, which could make it work well for turning out bookmarks and similar documents or proofing documents that are to be printed on card-stock by a print shop. As for photos, these came through sharp and vibrant, which is above average for a colour laser printer. Here, I was able to see bright reds in the test images which also came through very brightly and with good contrast. This would increase the Brother HL-L8350CDW’s appeal to people like estate agents who need to turn out a run of flyers to have on hand during an “open-for-inspection” visit. The Brother HL-L8350CDW is built very well and, as I have mentioned before, hasn’t had issues with heat buildup or excessive noise. This has been through use of proper cool-down procedures. As well, all the doors and drawers snapped shut properly and didn’t come across as being flimsy. For serviceability, the rear door exposes most of the output print path so you can remove jammed pages easily. The fact that the drum unit is separately replaceable makes it easier to reach inside the unit if you had to deal with paper jams inside the unit. This makes the job of rectifying most printer paper-transport problems less of a chore. The Brother HL-L8350CDW could show the amount of toner available in the unit on the LCD display so you don’t have to operate a computer to know when it’s time to put a replacement toner cartridge on the shopping list. This could simply be shown as a bar graph and not only when the supply is critically low. The USB device port on these machines could be implemented for more than just walk-up printing from USB flash drives. For example, this port could support PictBridge printing from digital cameras so you could obtain a quick printout of a digital photo you took with your camera. As well, it could use the USB Human Interface Device class to work with an external numeric keypad for applications such as Secure Print or whenever you are setting it up with a wireless network. It then avoids the need to “pick and choose” numbers for code entry. A nice-to-have feature that the machine’s owner could separately enable would be a “plug-and-charge” function that is available at all times the printer is plugged in to AC power rather than when it is active or in “sleep” mode. Here, this means that the USB port could provide 1 amp or 2.1 amps of power available irrespective of sleep-mode status so you can charge up a smartphone, tablet or similar gadget from the printer’s USB port. It is one of those features that is becoming more important as the USB port is seen as a universal power outlet for personal gadgets. Brother could improve on the automatic duplexer in these printers to improve its throughput so that the “sheet output” approaches that of half of the machine’s rated single-sided throughput. This is although these machines do excel on that feature by effectively “working” two sheets at once. 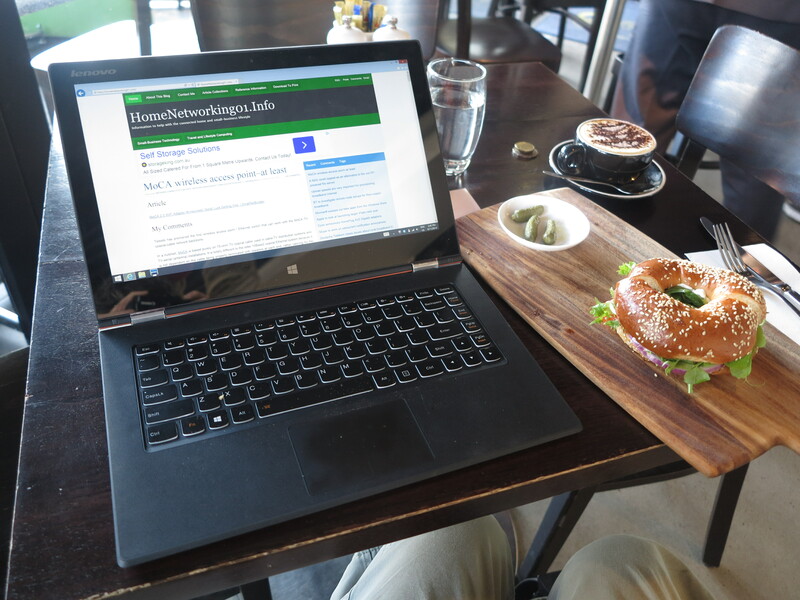 It would then raise the bar with those of us who are using this feature as part of our desktop-publishing needs. Similarly, these laser-printer automatic duplexers could be worked further to handle A5 and similar small sizes of paper for those of us who expect them to work as “short-run” printing presses. As for replaceable parts, Brother could offer for these colour laser printers a “heavy-duty” replacement-parts kit with a drum unit and belt unit that are optimised to handle longer more-intense print runs as an option. This could appeal to small businesses and non-profit organisations who are more likely to run these machines constantly as the organisational short-run printing press. I would recommend the Brother HL-L8350CDW as a cost-effective high-volume colour laser printer for those of us who turn out a lot of colour business or presentation documents and place value on the laser xerographic print method for this application. 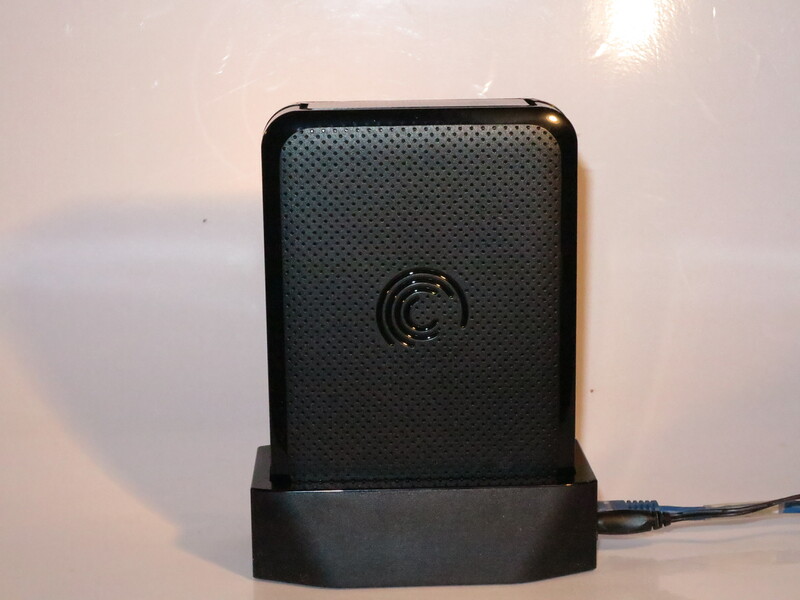 Those of us who are on a budget could opt for the HL-L8250CDN which has a slower throughput and just uses Ethernet network connectivity. As well, I would run these printers with the TN-346 series of toner cartridges when you are expecting to push them hard on a lot of promotional printout work. Most users can run them with the TN-341 cartridges when on a budget or even use a TN-346K black cartridge along with the TN-341 colour cartridges as a way of stretching your dollar further.